Right from the beginning, I was using Story of the World and Truthquest for our history curriculum base. Then we added in all sorts of activities and literature and field trips. The story was the base for our studies. Our studies branched off from there. When our interest was piqued, we would immediately search out more information. I didn’t even know I was using a spine book. But when I say spine, I mean base. Your base could be a time period of music or art. A book that covers famous scientists. It could be ancient Greece. A great spine book will cover whatever subject you want to cover in an engaging and orderly fashion. You want a book that makes the subject come alive, but doesn’t go in depth. After reading a section or more, your kids will find something they want to know more about. If you are studying astronomy and you cover moon phases, they might want to track the moon each night for a week or look for the Big Dipper. Maybe they will want to go to the Roper Mountain Science Center for a planetarium show. All of this will flow naturally out of your reading. If you are studying the Nile River, you might read a follow-up book. Mara, Daughter of the Nile. The Cat of Bubastes. Or you could talk about how the Nile overflowed it’s banks and how the rich silt was good for crops. That is why people congregated around that land. You could watch a video on youtube about other places where water overflows the crops – maybe rice fields? This past year we used this book as our spine. I picked this particular copy up at the Really Good, Really Big, Really Cheap Book Sale in Greenville for $1. These are timely topics. Immigration. Civil Rights. We watched great movies that merged several of these topics together – The Help, Hidden Figures. As I sit and type this, a new movie called Dunkirk has been released. I feel history always has relevance. The blocks of blue are first-hand accounts of major events. My great-grandmother, who I called Grammy, was born in 1899. 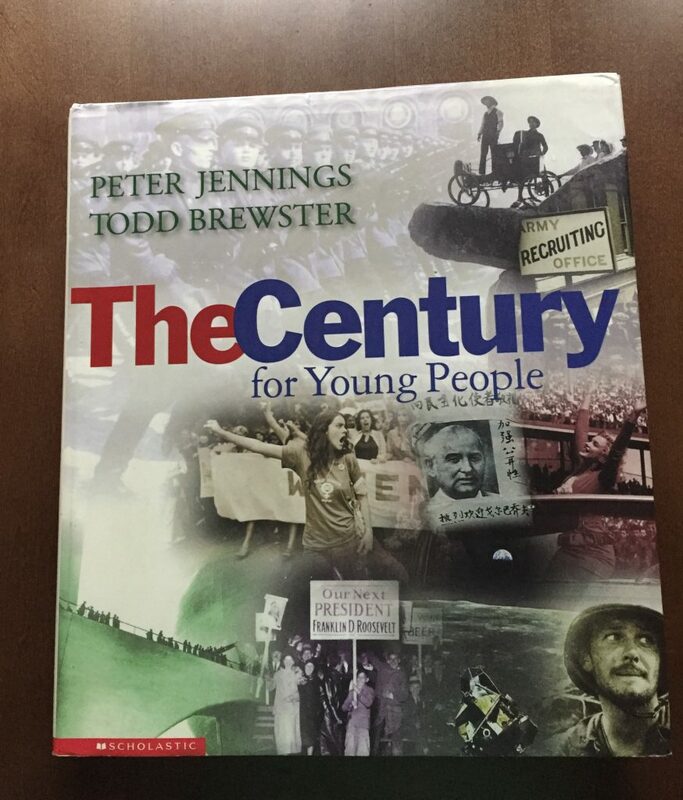 This century that the book refers to was her real life. At every point, we would talk about how old Grammy would have been. It was great to talk about what I knew of her. It was a very, very satisfying year of history. This current year of school (which will start in a few weeks! ), Ethan will be in 9th grade. 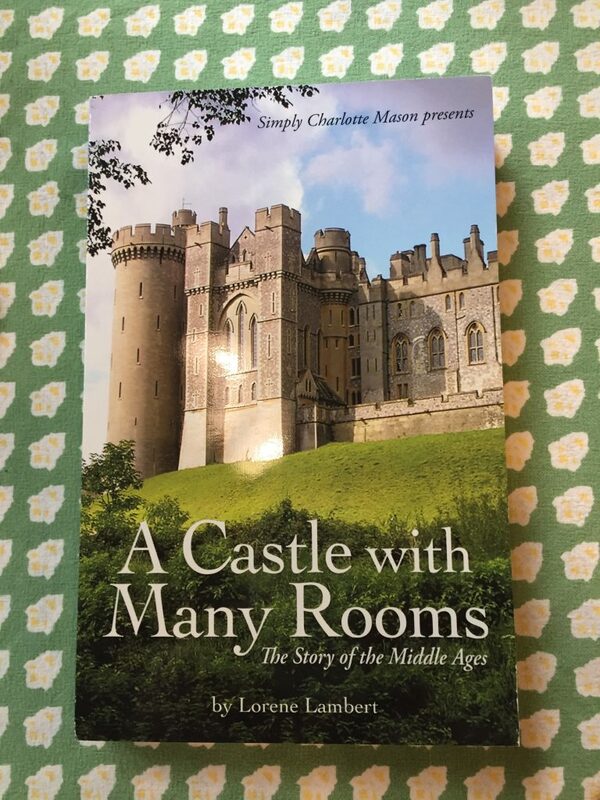 We will go all the way back to the Middle Ages and our spine book this year will be a new release from Simply Charlotte Mason – A Castle with Many Rooms. He loves history so much that I have no doubt that we will finish this spine by Christmas! Here is an example of a book you could use for an art spine. 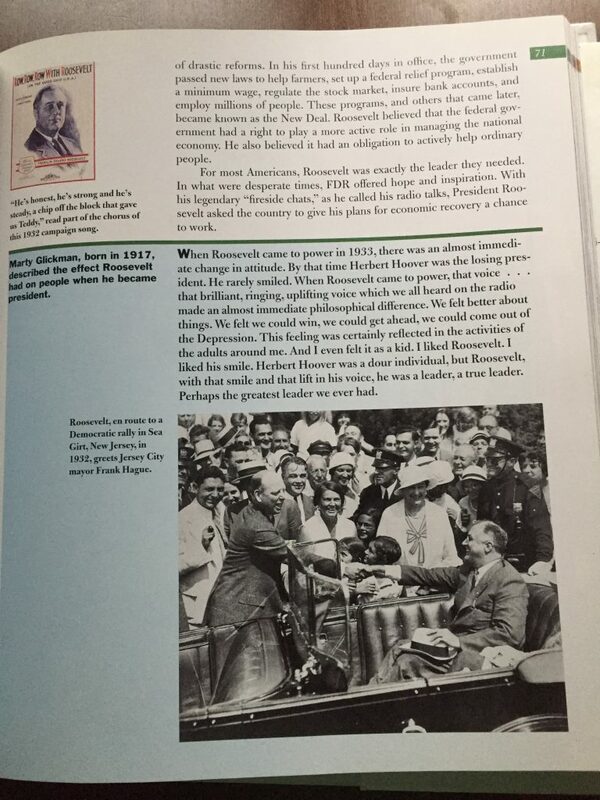 This is a book we had since we just completed two years of American History study. We also studied American musicians, artists, poets and inventors. You could look at an artist per week. 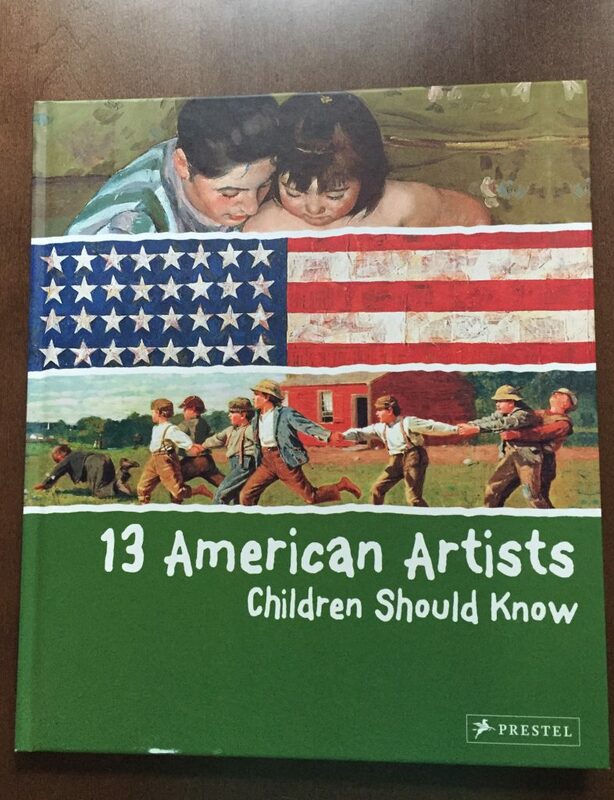 If your child shows interest, you could check out additional books from the library on that particular artist. Then you could draw or paint in the style of that artist. If you are lost when it comes to art, look at pinterest or youtube for ideas. When my kids were interested in Monet (not in this book since Monet was not an American artist) I found a youtube video where a very patient art teacher laid out step by step instruction to paint a water lily piece. My kids really loved it and all I did was purchase the materials. 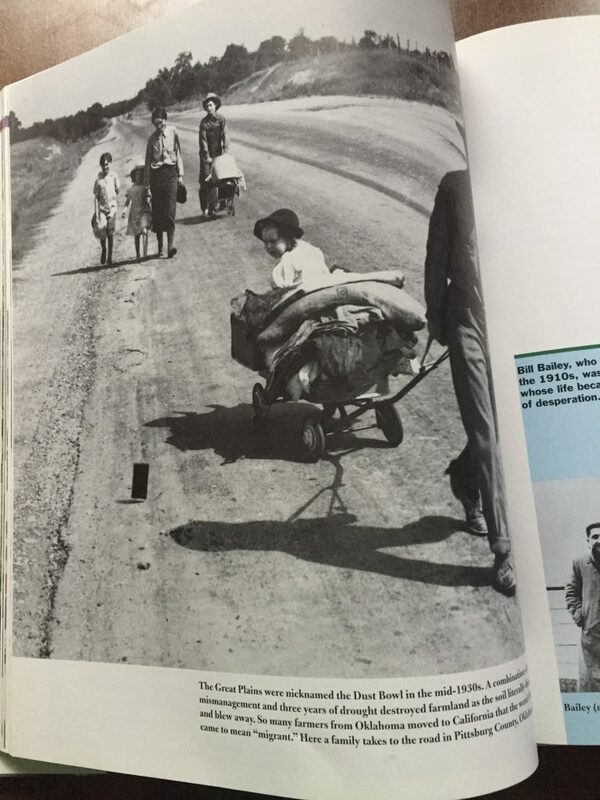 As the spine book serves as the inspiration for all other study, make sure it does it’s job!